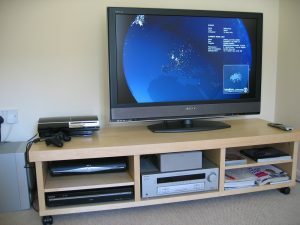 Many people like to use their home computer as a home media server. These days, it is possible to hook up your smart television and music devices to a media hub. This setup is beneficial because it allows the user to keep everything in order through one centralised system which can be accessed by different gadgets. So how do you go about it? The best way to do it for the casual user, is to buy a decent powered PC with a quad core processor. You will need a wireless modem, a router, and a smart television. If your TV does not allow wireless connection, then don’t despair, there are ways around that too, and you can connect through a hard network connection. This is essentially to allow your computer and other gadgets to read each other. You will need to make sure that you buy a PC that has decent storage capacity. If you don’t want to have all your media files stored on the actual computer, you can always buy a good external hard disk. Another option is to buy an internal hard disk and a cradle which mimics the function on a computer connection. Once all your gadgets are connected to your computer, you should have a one-stop solution where you can view your photographs, access your music, movies and more. Because everything goes through the one computer, there is no need to load up USB sticks and the like, because the data is transmitted straight from the PC to the other medium. If a music system is connected upstairs, for example, it can play the music that is on your PC by accessing it directly. It can be quite tricky to set up, but there are plenty of tutorials online that can help you do so.